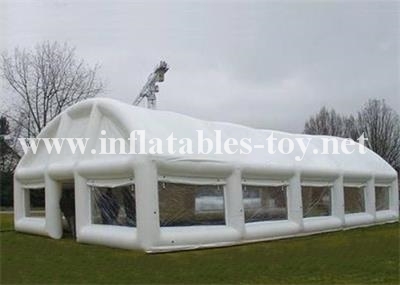 Inflatable Tennis Courts Tents is very well received in the worldwide markets. 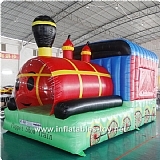 Inflatable Tennis Courts Tents is best equipment for celebration, festival, promotion, advertising, sales activity, etc. 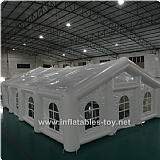 ● Safety and convient for any party, wedding, show, exhibition etc. A selection of words that can only begin to tell the story of these awe inspiring event structures. With full branding potential for all of our structures, unique andcontinuity led designs can be applied – a popular choice for field marketing exercises and optimal brand awareness. Made from extremely light weight, soft and waterproof materials, these Alternative Event Structures offer a diverse solution through modular design to modern day event requirements. Suitable for both indoor and outdoor use these structures transform a venue into a futuristic space whilst complying with relevant fire regulations and with standing windspeeds of 30mph unaided and up to 70mph with additional internal truss supports.